Disclaimer: This aid-to-construction estimator is intended to calculate an approximate cost for a new electrical service, provided there are no special conditions or requirements. The estimator is only a tool for our members’ convenience and actual aid-to-construction costs may vary. Before construction can begin, it will be necessary for an Energy Cooperative staking technician to visit with you and prepare a specific, site-related plan and cost estimate. A customer service representative will contact you to schedule an appointment with our staking technicians. The actual aid-to-construction cost may be subject to additional credits and fees.  Clicking submit below will send an e-mail with your information and estimate to The Energy Cooperative. We will contact you within 5 business days of your submission. Thank you for your interest in our services!